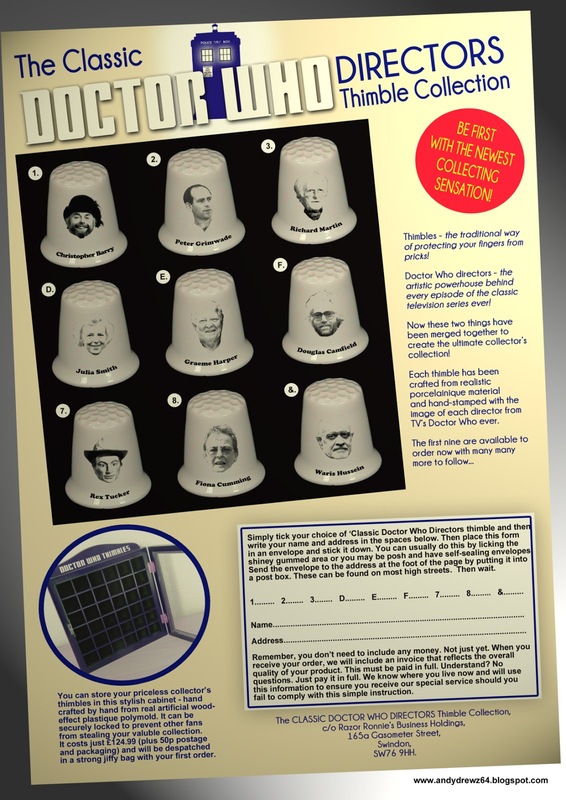 Andydrewz's Pages: Announcing the Official Classic Doctor Who Directors Thimble Collection! 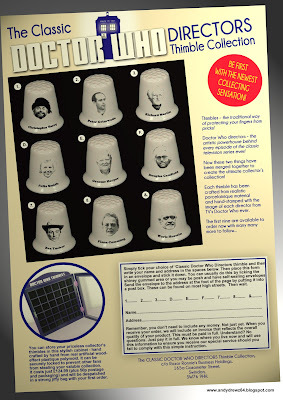 Announcing the Official Classic Doctor Who Directors Thimble Collection! Because companies have hit on the idea of putting pretty pictures on them and selling them as 'collector's items'. And now, fans of TV's Doctor Who can join in the fun. With all that money you still have left after buying all those books, magazines, bookazines, CDs, DVDs and part works, you can now have the pleasure of forking out for thimbles featuring your favourite classic series directors. Now you can finally have Douglas Camfield protect you from all those pricks!